Pocket Invoice is a well designed application that employees can use to easily and independently record their hours worked and calculate wages that are owed to the employee. 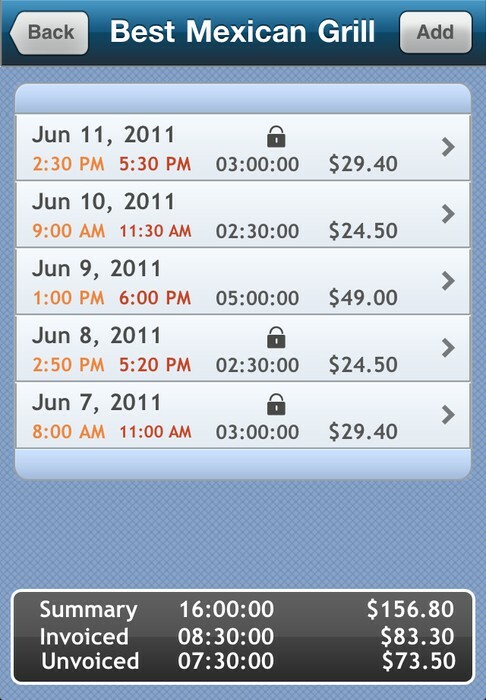 Pocket Invoice allows users to enter their daily work hours, including start times and end times. The application also provides for a summary of hours worked in a daily, weekly, monthly and clients format. A PDF report of selected logs and detailed client information can be generated and sent by email which provides a summary of hours worked, as well as gross payment owed to the employee. Well designed, easy to use, intuitive interface. 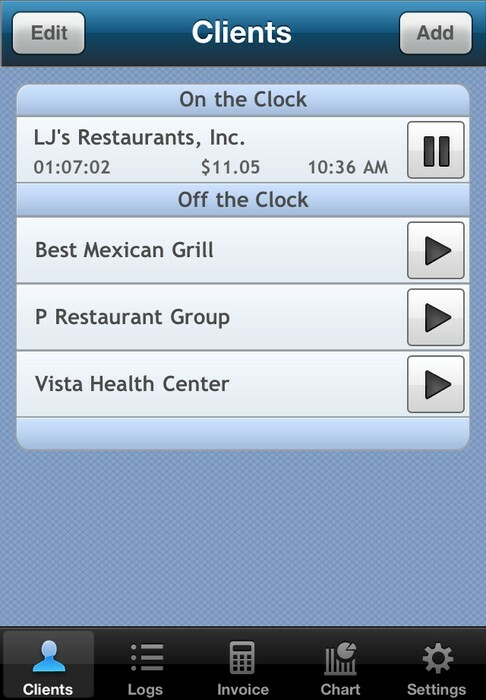 Keeps track of time worked for multiple jobs. Supports daily and weekly overtime work, and extra money earned from overtime. 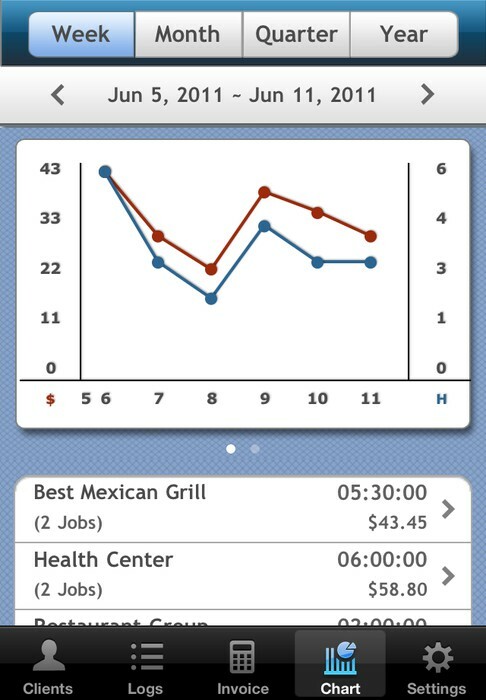 Updates onscreen hours and money earned in real-time for active jobs. Full edit, delete and add of jobs and hours worked. Messages can be added to each log and invoice. 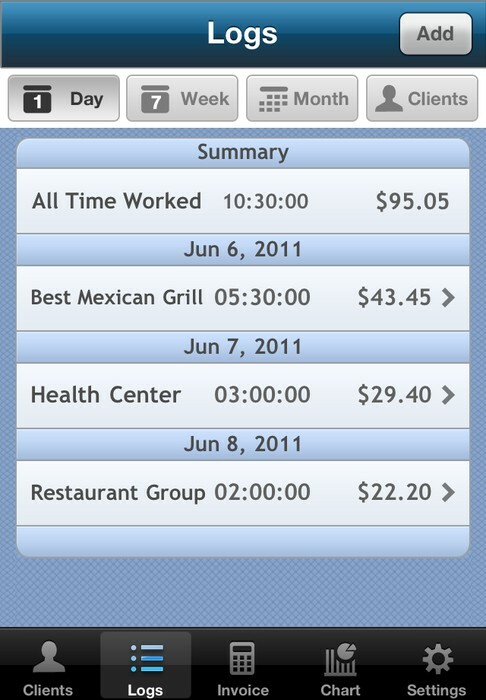 Different hourly rates for hours worked entries and remembers the rate for hours worked in the past. 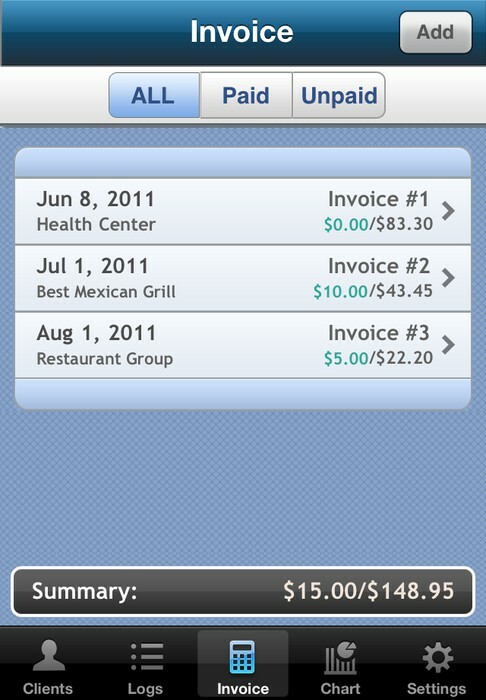 Tracks time log, payments and partial payments. Tracks time and money in chart. Tracks jobs as Invoiced and Uninvoiced.